Filmed by Tang Dafei. Edited by Zhong Youyang. Translated by Wang Xinzhou. Polished by Andy Boreham. If someone mentions the “Four Treasures of the Study,” they are talking about a Chinese expression referring to four stationery items — the brush, ink, paper and inkstone — indispensable to any traditional Chinese scholar. Inkstones are especially cherished and to most Chinese calligraphers and painters, they’re considered a precious work of art and a collector’s item to be handed down from generation to generation. Apart from their practical function, some are also prized for their aesthetic value. 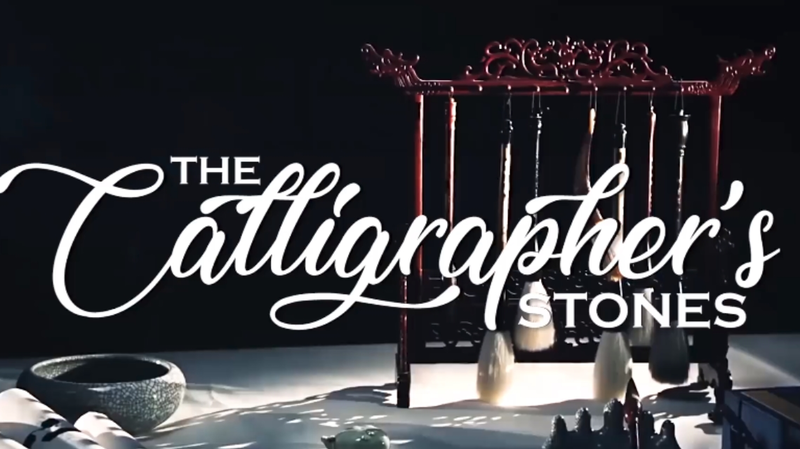 The art of Shanghai-style inkstone sculpture has a history of more than 700 years. Inkstones not only come in different shapes and sizes, they are also decorated with various patterns, such as insects, animals, fruit and vegetables, featuring unique local characteristics. Born to a Chinese medicine family, Ding was deeply influenced as a little boy by traditional Chinese culture, especially in engraving art. In his teens, he was introduced by a friend of his father’s to an engraving master, surnamed Jin. And the master gave him a task — to engrave a seal. Ding revealed his talent for the art and finished it very well. He then embarked on a sculptural art journey as an apprentice. It soon became his lifelong passion. As a fourth generation of Shanghai-style inkstone sculpture, Ding is influenced by the craft’s originator, Chen Duanyou. On the basis of the traditional characteristics of Shanghai-style inkstone sculpture, he also developed and brought forth new ideas into his work. 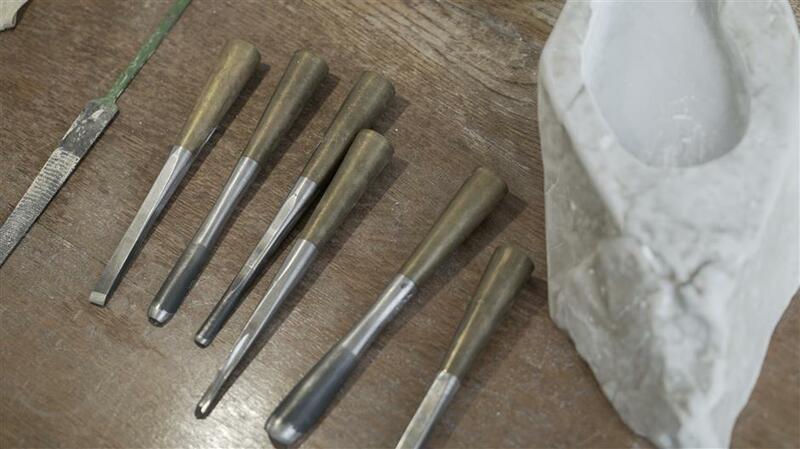 “I engrave things realistically. But for Shanghai-style inkstone sculpture, it is more important to be innovative and not just copy things the way they’ve always been done. There’s always a better way,” Ding said. Ding’s work retains the natural state of the stones being used. His work also reflects his mentality. Good-quality inkstones can be found in the provinces of Guangdong, Anhui, Gansu, Hunan, Jiangxi and Ningxia Hui Autonomous Region. Finding a suitable inkstone is not an easy job. It is more likely to be a fortuitous encounter. 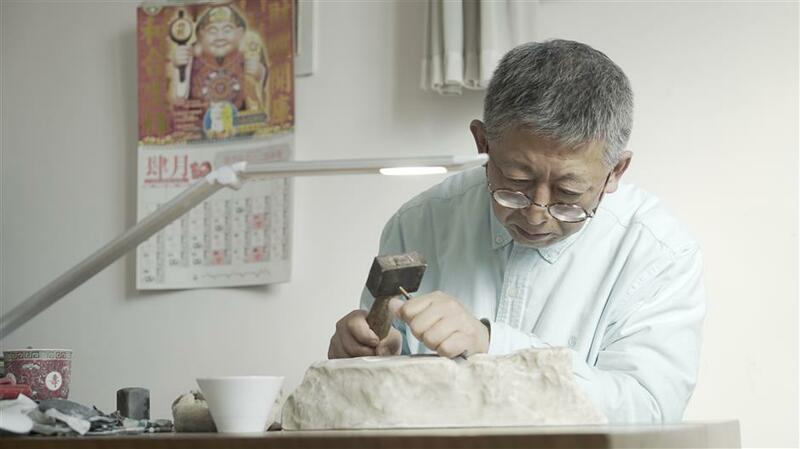 For Ding, the most important thing when he starts to create a sculpture is to understand the original idea of a stone — sometimes it takes several days, sometimes even decades. This is the principle he has always followed — just do 1 percent of the work and leave the rest to nature, because 99 percent of the stone comes from nature. The beauty of nature is infinite, while the imagination of people is limited, he said. “A good inkstone sculptor can put people’s limited imagination into the infinite nature, then you will find your imagination is being expanded,” he said. His representative work, entitled “Sleeping Wild Goose,” shows how he “listens” to the sound of the nature while working alongside it. The head and the neck of a wild goose are finely carved according to the original shape of the stone. And the feathers of the bird are vividly chiseled and sanded as if they were real. 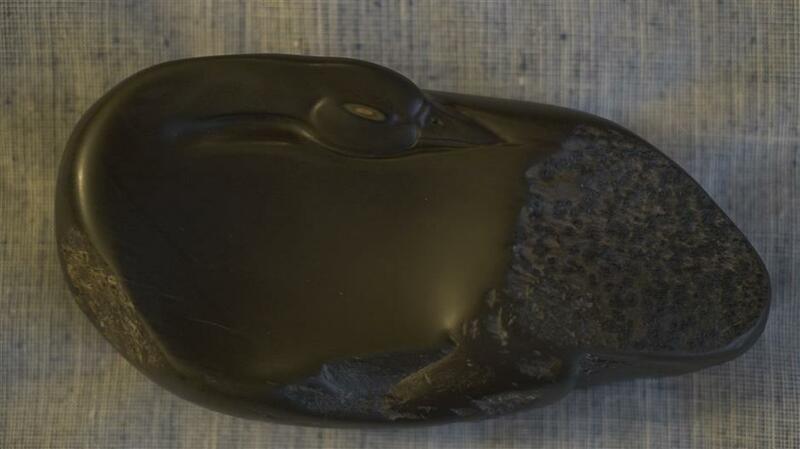 In order to capture the slight structure of the down feather, Ding kept a feather of the subject bird on the surface of the stone while working on it. He examined the feather under a microscope and observed its marvelous design for hours. As a person who is good at discovering the joy of life and nature, Ding always brings his passion and observations about the world into his works. Animals are a common theme throughout. In 2000, Ding was invited to an art exhibition in Thailand. His ink slab, named “An Elephant Without Tusk,” showed a charming elephant without any tusks. Ding believes the sale of ivory is illegal and it is cruel for an elephant to lose its precious tusks due to the selfish and greedy nature of human beings. The work touched many people’s hearts and it was eventually collected by the Thai royal family. In 2011, a solo exhibition of Ding was held at the Shanghai Arts and Crafts Museum, featuring several inkstone sculptures. He was crowned master of inkstone sculpture as a result of the exhibit. As of today, he continues working in the field of inkstone sculpture despite the fact that his eyesight has weakened in recent years. “My work requires long hours of carving, so overuse of the eyes causes bad effects,” Ding said. “But I still do some simple practices with the doctor’s permission.